Taking ownership of your first home has to be one of the most exciting achievements we experience as adults. It’s probably the biggest investment you’ll ever make, and can become your greatest asset over the years. It goes without saying that protecting that asset is vitally important, but when you’re already facing stiff monthly mortgage payments, how to go about this can be more than a little stressful! Here are some low- and no-cost investments that not just keep you and your family more safe and secure, but can save you an endless amount of worry, and quite possibly money, in the long run too! Making sure that you’re not advertising that there are valuables in your house is one of the easiest steps you can take to avoiding being burgled in the first place. Bear in mind that it’s not always easy to get an outsider’s point of view from inside your own home, so take a stroll down the street and around the perimeter where there may be vantage points you’re not aware of. You might not be able to see that new plasma screen from the front of the house, but it might still be visible from the property behind you, or even a higher vantage point further away. And when you buy new electronics or appliances, make sure to flatten the boxes and put them in the bin if you throw them away! Most break-ins occur when the occupants are out, but your neighbors can keep a casual eye even when you’re not around. Even if it’s been a while since you moved in, make a real effort to get to know the neighbors on every side of your property, and exchange contact details so can alert each other of suspicious activity. You might even forge a few new friendships in the process! 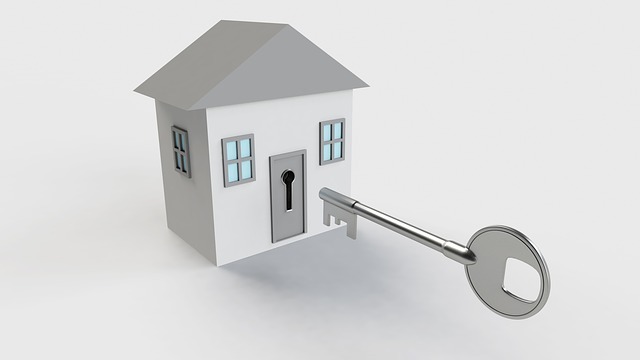 Investing in good quality locks and changing them out every few years is a great way to keep the most obvious points of entry to your home secure. Install new ones when you first take ownership -an affordable but excellent quality brand like CISA locks is a great option- and whenever there’s been a potential security concern like loss of a pair of keys. One of the best ways to offset the costs of installing new security measures is to find out how you can reduce your monthly insurance premiums! In many cases, the cost of installing motion-sensing lights and an alarm system can be offset quite quickly if they mean you’re paying less for household insurance each month, and as they say, peace of mind is priceless. This can be a pretty amusing activity to rope the family into! Pretend that you’re a potential burglar, and try and get access to your own property and home without using your keys or other access devices. You’ll quickly see where weak spots might lie – such as an overhanging branch that makes it easier to climb the wall, or windows that offer unexpected access to the house itself even if the doors aren’t penetrable. If you’ve got the room, then adopting a dog or two from the local shelter as a companion and member of your family is always an excellent idea. As an added bonus, they can act as night’s watchman as well. Just make sure to keep them safely indoors at night, especially if criminals in your area have been known to poison or harm dogs left outside. Common advice is that your entire yard area and access points to the house should be well-lit at night, but there’s an obvious contradiction here too – if you can see the access points easily, so can potential burglars. You might even be doing them a favor, as they won’t even have to carry torches with them! An option that offers the best of both worlds is motion-sensor lighting, where potential unsavory activity will literally spotlight potential intruders. When it’s late and the house is dark, the external lights going on suddenly is a lot more likely to wake you and alert you than lights being on all night too. All of us deserve to feel safe in our homes, and luckily, most of the ways you can keep your home more secure involve good old fashioned common sense. If you have specific concerns, then don’t hesitate to get in touch with the professionals. Extra peace of mind is always worth the investment!